With H. villosa in its parentage, 'Berry Smoothie' is extremely heat tolerant and holds up well during hot summer months. 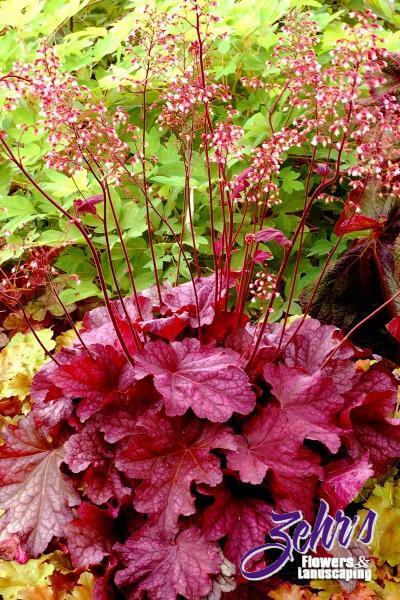 The leaves are extra large and a beautiful shade of metallic rose-purple. Long flower stems in mid summer sport light pink bell-shaped flowers, great for cuts.